For those of you that follow my Instagram, you'll have seen that my husband and I recently brought our first home in Newquay and have been spending the past few months renovating the coastal bungalow in preparation for the arrival of our first child. The nursery was, in fact, the last room for us to finish, apart from the kitchen which we have decided to not touch for a few months. Anyway, our nursery was an inspiring project to have mainly because we don't know the gender it's made it all the more enjoyable to put together. I have sourced ethically produced items, upcycled a lot and thrown in a few vintage pieces for good measure. 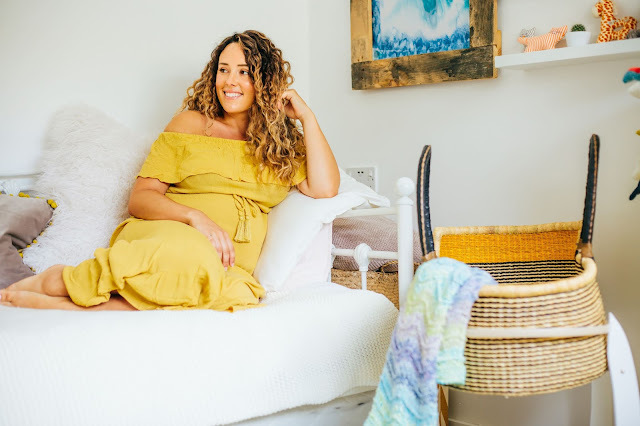 I wanted to find the balance between a colourful, childlike room and a relaxing space for me to also spend my time and I am happy to say I feel like I have found just that. With soft, snuggly fabrics and colour pops to stimulate the imagination I am over the moon with how it's all come together. I wanted the room to have character and not just look like I'd gone to the baby section of a department store. It needed to fit in with the style of our home as much as anything, and our house has quite an eclectic mix of styles, but all with a fresh homely feel. As well as having all the basics that any nursery needs, like storage, somewhere for me to nap and room for cuddly toys and delightful artwork, I also wanted to make sure that I had the right baby essentials. I am lucky enough to have a lot of friends with kids, who have helped me out with my nursery must-have list. 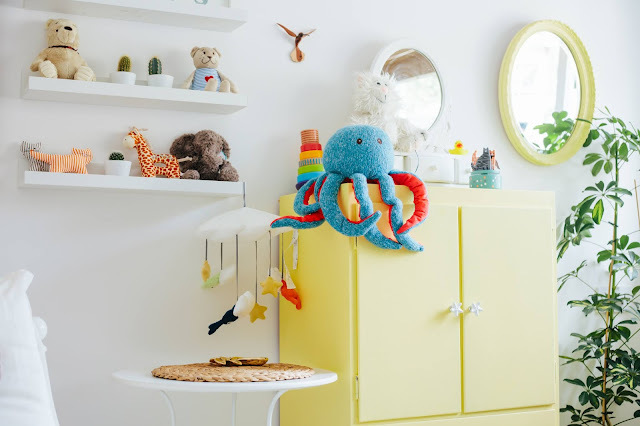 So I invited a good friend and photographer Sarah Clarke from Checkered Photography to come round and shoot some elements of the nursery. 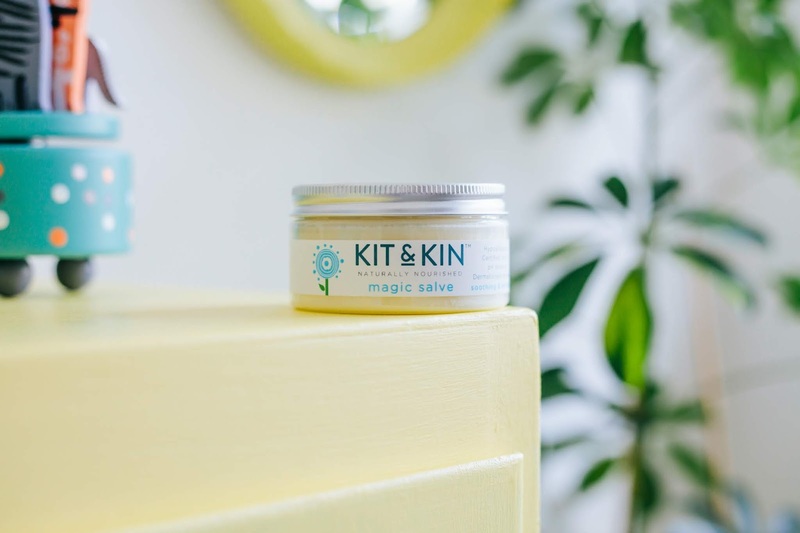 I have linked the products shown and explained in detail why I have chosen them. 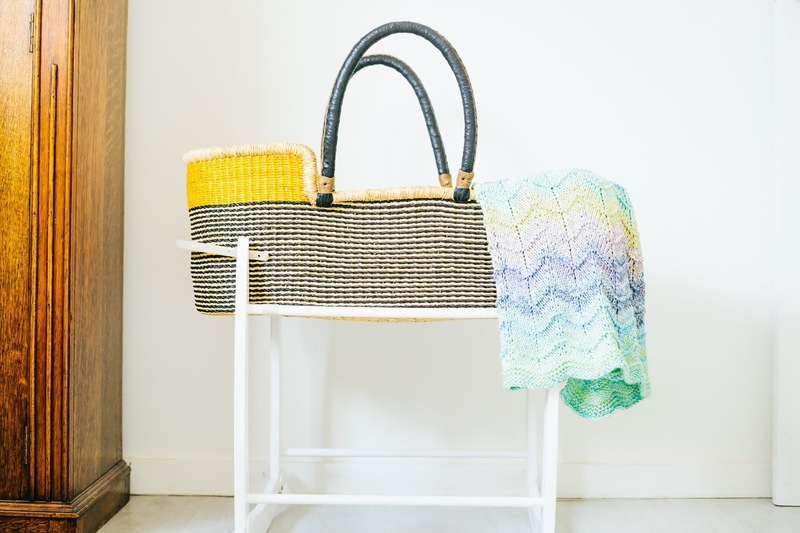 Moses Basket by Bosie Baby - This is the Meerkat design. They are all handmade and gorgeous. I ordered my stand from Clair De Lune and went for the Deluxe White Moses Basket Rocking Stand. It fits perfect. 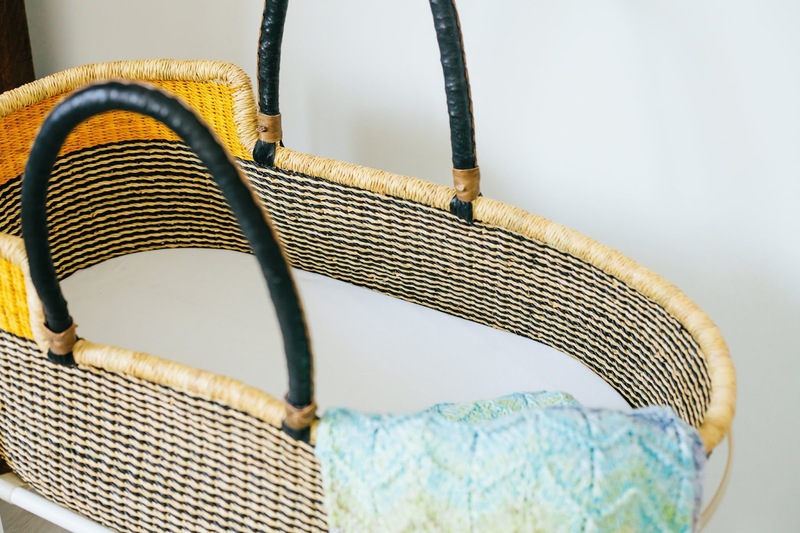 The basket also comes with a mattress and an organic cotton mattress cover. The blanket was handmade by my aunt, who actually dyes her own yarns. It was given as a gift at my baby shower, and I couldn't be happier. Boy or Girl, it's going to look lovely snuggled up around them. You can shop her items through her shop - Perran Yarns. This cupboard was actually in my nursery as a child. It needed a little bit of a makeover so I gave it a lick of paint and upcycled a vintage mirror to match. As you can see, there are a fair few cuddly toys dotted around and some greenery! I love plants around the home, and it only seemed right to get one in the nursery too! According to my friends, Sleepyheads of Sweden are an absolute must! 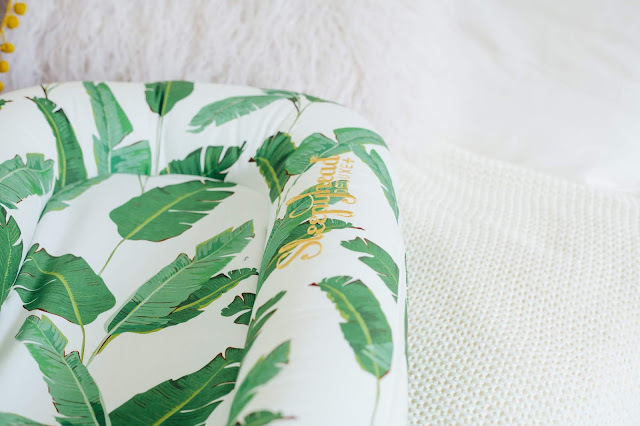 For someone who is going to have to continue working from home, I think this little tropical little beauty will come in very handy. 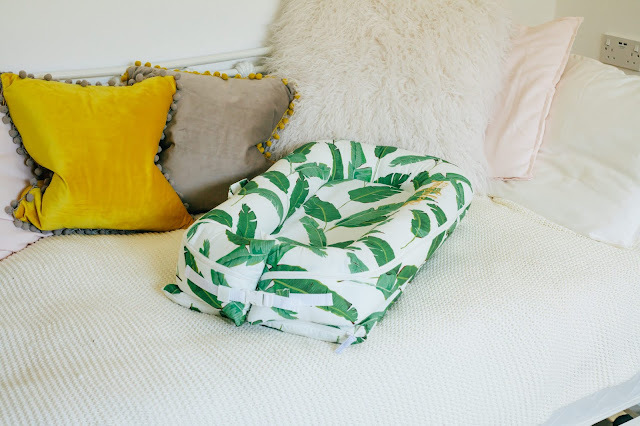 I opted for the tropical print because even during the winter months it's always lovely to keep that tropical vibes going. We currently have a wardrobe nearly full of baby grows, muslins and mini hats and boots for the new arrival but these pairs are my absolute favourite! 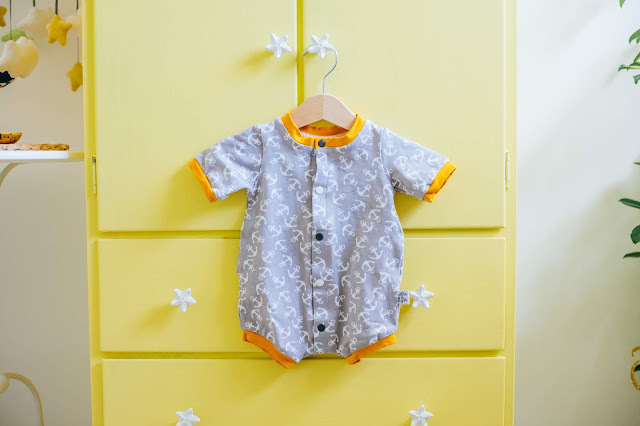 I am lucky enough to be good friends with the owner of Lottie and Leash, and in fact, my Mum is a seamstress for them, meaning my little one is going to have the loveliest threads to wear! Baby skincare and nappy products are essential to me. With most nappies can take between 200-500 years to biodegrade which is unbelievable. 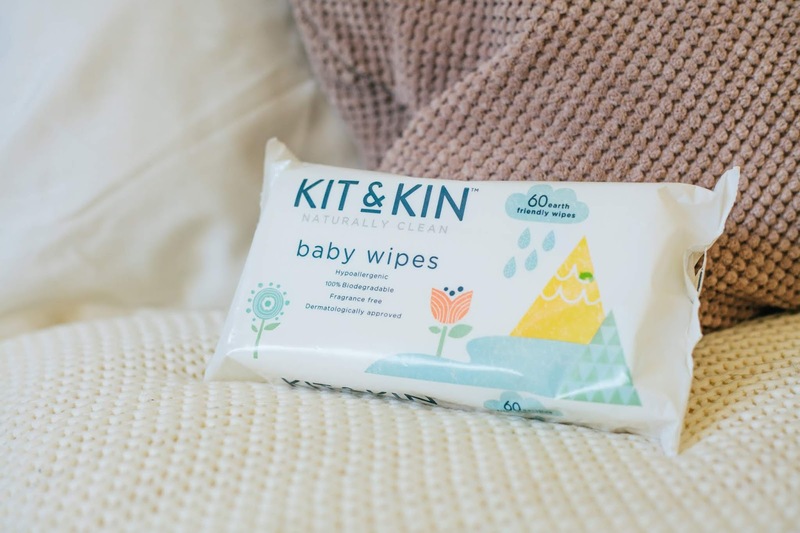 As well as investing in a few reusable nappies I will also be using the Kit & Kin products because they are Earth-friendly and a better option to use if I need someone while on the go. Another product which is going to amazing when on the go is my Ergo Baby 360 Carrier. 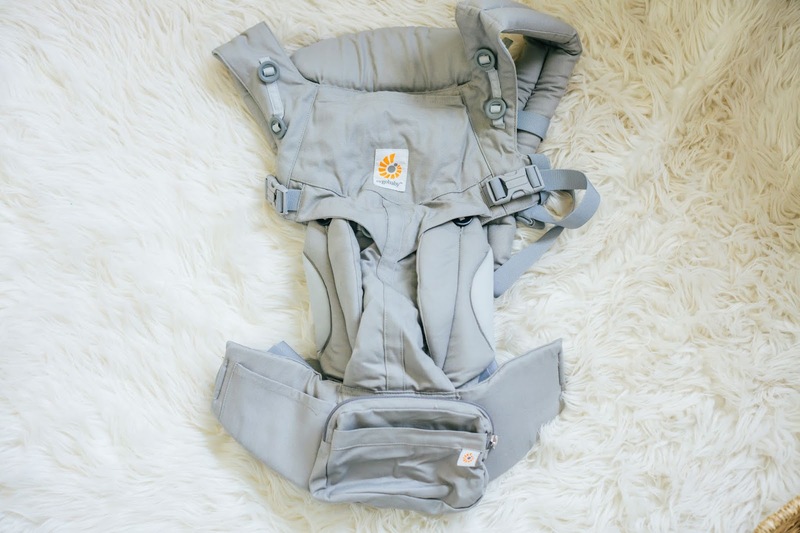 Great for on the go and can be used from newborn. I went for the grey colour because this will be something both myself and husband use and I love a neutral colourway. Lastly, a little something for the baby to sleep in. 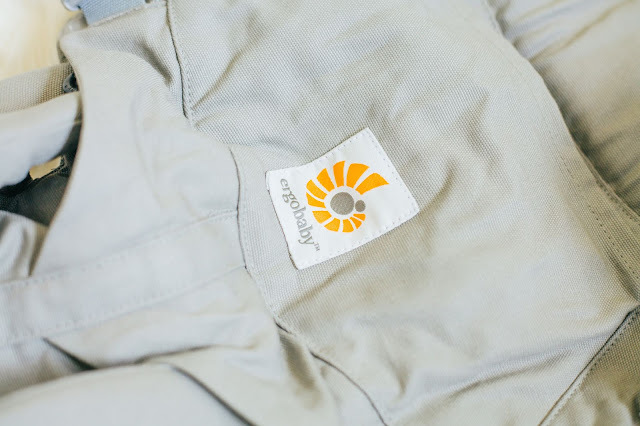 From the lovely Ergo Pouch, I chose the cloud design because I loved how fresh it looked. All organic cotton and allows you to unzip to change the nappy and they can also sleep with their arms in or out.